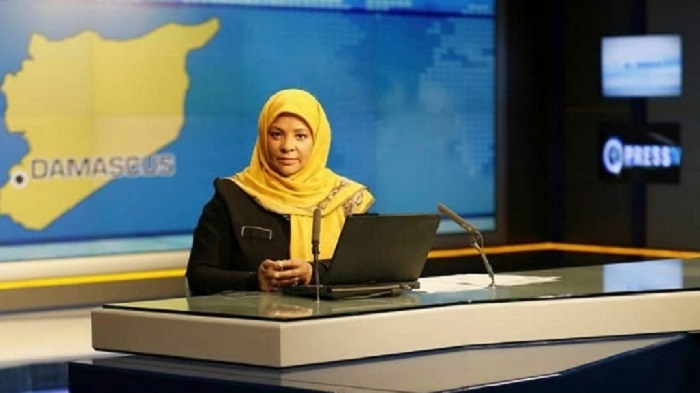 Press TV anchor arrested in the U.S. There are several truths about the Iran lobby, especially the National Iranian American Council: 1) It will never overtly criticize the Iranian regime unless it has no choice; and 2) It will never miss an opportunity to criticize U.S. actions towards Iran, even if the regime has committed far worse. The most recent example was the detention of Marzieh Hashemi, an anchorwoman for the regime’s state-run English-language Press TV, in St. Louis and then taken to Washington, DC by the FBI as a material witness in a case. Hashemi was born in New Orleans under the name of Melanie Franklin and eventually found her way to Iran reading new copy written by the regime. Predictably the regime blasted her detention and tried to compare her case to the death of Washington Post columnist Jamal Khashoggi. What is hugely ironic about his comments and feigned indignation is the fact Iran continues to hold American hostages itself. In fact, the nuclear deal negotiated back in 2015 included provisions for a hostage swap of four Americans being held illegally in exchange for billions of dollars in cash; a fact often omitted whenever the Iran lobby chastises U.S. policy. Now the Iranian regime continues to hold several Americans, a fact that makes Zarif’s call for Hashemi’s release laughable. White had been undergoing cancer treatment and his mother is urging the Iranian government to release him so he can get the “specialized medical care he needs.” Why White was even detained by Iran in the first place, as of Thursday, remains a mystery, according to Fox News. Also, being held is Nizar Zakka, a Lebanese-born Internet freedom activist who is a permanent resident of the U.S., who was detained in 2015 while attending a woman’ empowerment conference he was invited to and has been sentenced to 10 years in prison on spying charges. In addition to these Americans, Iran continues to hold others from countries such as Great Britain such as human rights worker Nazanin Zaghari-Ratcliffe who began a hunger strike over her false imprisonment. NIAC is kind enough to provide some lip service to the plight of these hostages but has never thrown its political and PR machinery behind a full-court press to get the mullahs in Tehran to release them. The statement issued by Jamal Abdi, NIAC’s president, is typically mild about the plight of these innocents. “NIAC is concerned by reports of mistreatment and reiterates that all nations must observe international law with regard to such detentions. Ms. Hashemi’s status as a journalist for an Iranian outlet cannot prevent her from access to the same legal rights afforded to every U.S. person,” Abdi said. Under U.S. federal law, judges are allowed to order witnesses to be arrested and detained if the government can prove their testimony has extraordinary value for a criminal case. They must also prove the witness would be a flight risk and unlikely to respond to a subpoena. The statute generally requires those witnesses to be promptly released once they are deposed. It’s a process largely transparent compared to the Iranian regime’s refusal to even specify the charges against many of the hostages it holds; let alone the convictions handed down by religious courts without proper legal representation or other due process. Press TV focuses predominantly on international affairs through the lens of how leaders in the Islamic state see the world, often generating fierce criticism of British and American foreign policy. Its broadcasts have also drawn Western criticism. The channel was pulled from the air in Britain in 2011 after a complaint by a Canadian-Iranian journalist for Newsweek who was imprisoned by Iran after the 2009 disputed re-election of hardline President Mahmoud Ahmadinejad became the Green Movement protests. Bahari said the channel aired an interview that had been scripted by his captors, who threatened to execute him unless he cooperated. While we can hope Hashemi’s case is quickly resolved, the same hope for Americans being held in Iranian jails falls on deaf ears at NIAC.